SALT LAKE CITY — While winters with heavy snow can be hard on deer and other big game animals, Utah Division of Wildlife Resources biologists said that adult deer survival is currently at 92 percent statewide. Given the health of this population, as well as other big game, state officials have released their recommendations for the 2019 big game hunting permits. According to a press release from the DWR, biologists typically track deer survival rates from Dec. 1 to Nov. 30. While they are currently only about a third of the way through their survival monitoring year, the majority of deer deaths occur during the winter. Kent Hersey, DWR big game projects coordinator, said the highest survival rates are in Southern Utah, with average rates in central and southeastern Utah. Northern Utah has below-average survival rates, with the highest mortality rates in the Cache and Kamas/Chalk Creek areas. While the majority of deer deaths occur during the winter when it’s hard for them to find food, winter-related deaths can still occur through April, Hersey said. However, as the temperatures increase and the snow melts and vegetation starts growing, the deaths start to decline. So why doesn’t DWR feed deer during winters with a lot of snow? While providing feed to deer and other big game animals may seem like a good solution for preventing deer deaths, it can actually cause more harm than good. Feeding with alfalfa hay or other feed can be damaging to the natural habitat, due to the large number of deer that congregate to one small area, according to DWR big game coordinator Covy Jones. It can also increase disease concerns, as well as increase fawn mortality, since herds congregated in one area for food will kick out the younger animals. And suddenly introducing a higher-nutrient feed when the deer have adjusted to a low-nutrient feed during the winter can kill them. DWR does have a policy to provide feed for big game animals during extreme winters, but the specific criteria necessitating feeding wasn’t met this past winter. If you are hiking or camping and see a dead deer, leave it alone. If it is a buck deer, note that it is illegal to harvest the antlers if they are still attached to the deer – even when the animal is already dead. “Be a good witness. Leave the area undisturbed and contact the UTiP Hotline at your earliest opportunity,” said Lt. Wyatt Bubak with DWR law enforcement. Besides reporting on deer populations, DWR officials also recently sent out their recommendations for the 2019 big game hunts, and they are asking for the public’s feedback. Jones said that the recommended number of hunting permits each year is based on a few factors. 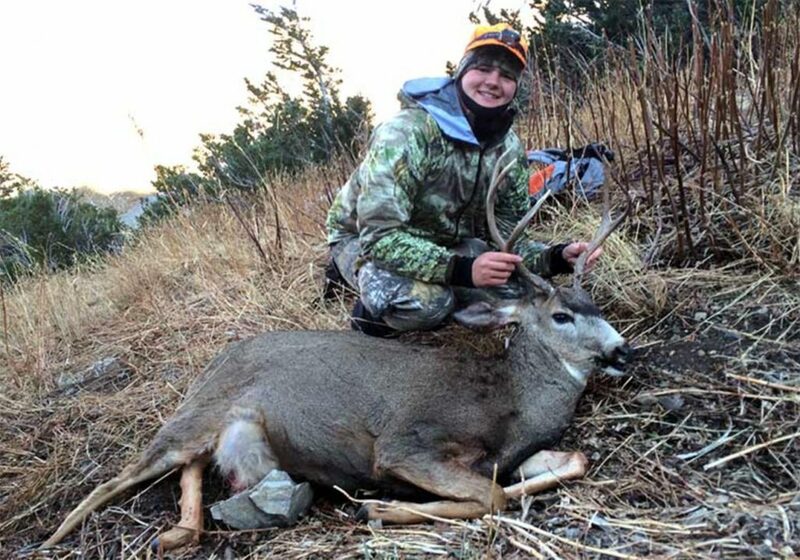 In addition to deer, several big game populations are doing quite well in Utah, and biologists are recommending an increase in permits for several hunts this fall, including for doe deer and for buck and doe pronghorn. 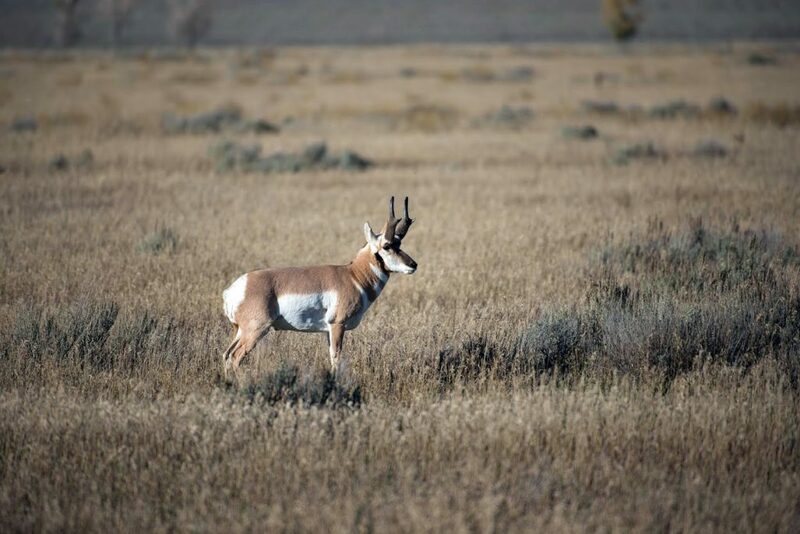 Utah’s pronghorn management plan was revised in the fall of 2017, and the populations are doing well. 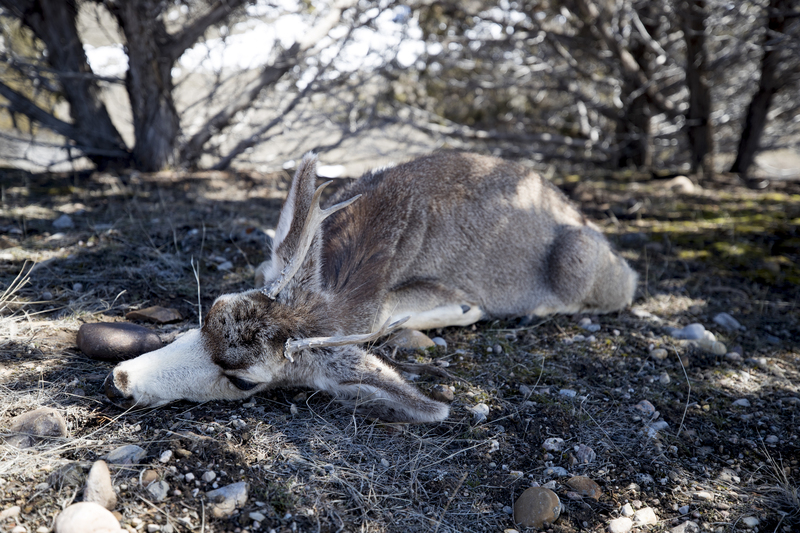 Biologists are recommending an additional 115 doe pronghorn permits, as well as several additional doe pronghorn hunts, and an additional 180 buck pronghorn permits. 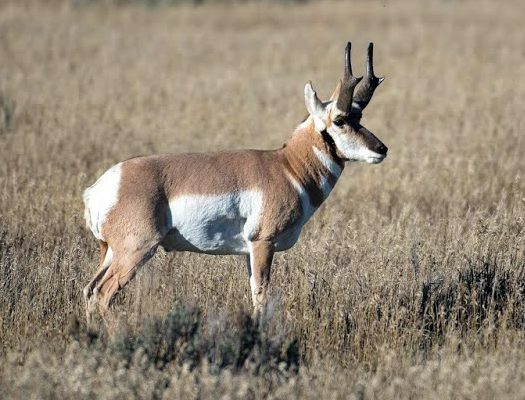 Data collected in Utah and other states suggests that, excluding bucks that are taken by hunters, survival rates for pronghorn bucks are relatively low (typically less than 80 percent). The data also suggests that buck pronghorns attain most of their horn size by 2 years of age. The following are the total number of permits that DWR biologists are recommending for Utah’s 2019 big game hunts, with last year’s numbers provided for comparison. 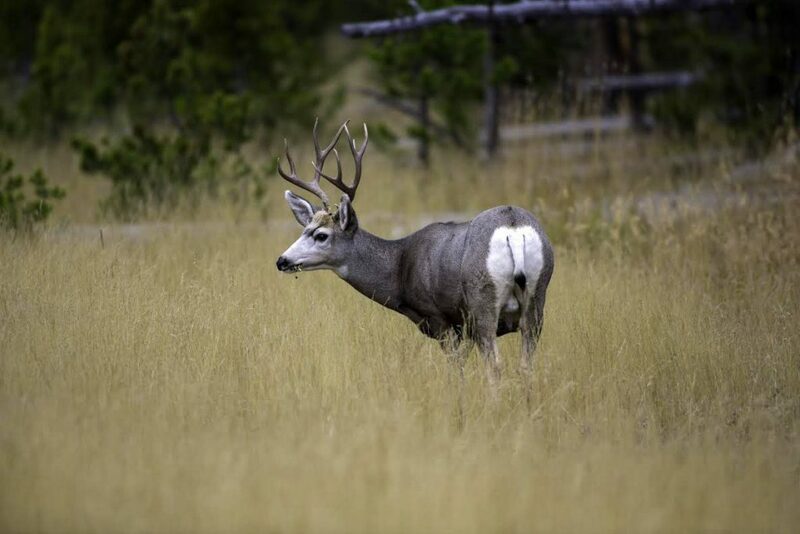 Several new hunts were also proposed to help manage doe deer, cow elk and doe pronghorn populations. Biologists recommended adding five new doe deer hunts in 2019 to help address declining range conditions in certain parts of the state and to help reduce deer depredation on private lands. They also recommended adding 18 new cow elk hunts and eight new doe pronghorn hunts. A new rule amendment was also proposed that would allow handgun-archery-muzzleloader-only hunts for big game. Weapons used in these hunts would have to meet current specifications in the rules, including additional pistol specifications. No scopes would be allowed on the weapons used in these hunts. Hunter orange would not be required on these hunts if they occurred outside an area where the any weapon general-season bull elk or any weapon general-season buck deer hunts were occurring. “There has been a desire from local hunters to have hunts using less technology,” Jones said. If approved, this type of hunt would be added in a future management plan. It won’t take place during the 2019 hunting season, according to DWR officials. All of the proposed changes can be viewed on the DWR website. After reviewing the proposals, the public can give feedback via email or by attending one of the DWR’s upcoming Regional Advisory Council meetings. Email addresses for RAC members are available on the DWR website. The group each RAC member represents (sportsman, non-consumptive, etc.) is listed under each member’s email address, and the public should direct their feedback to the RAC member in their area who represents their specific interest. Central Region: April 9 at 6 p.m. at the Public Library at 45 S. Main St. in Springville. Northern Region: April 10 at 6 p.m. at the Weber County Commission building at 2380 Washington Blvd. #240 in Ogden. Southern Region: April 16 at 5 p.m. at Beaver High School at 195 E. Center St. in Beaver. Southeastern Region: April 17 at 6:30 p.m. at the John Wesley Powell Museum at 1765 E. Main St. in Green River. Northeastern Region: April 18 at 5:30 p.m. at the DWR Northeastern Region Office at 318 N. Vernal Ave. in Vernal. What is 'zombie deer disease' and can it spread to humans?